How Many Ads Do You See in One Day? Digital Marketing experts estimate that most Americans are exposed to around 4,000 to 10,000 advertisements each day. When you create more media channels, you’ll create more advertising. 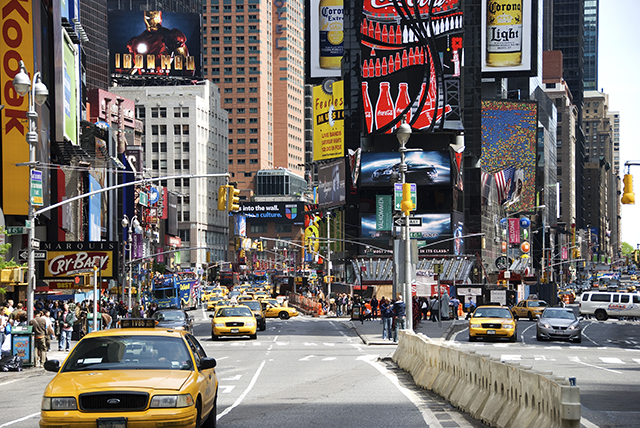 Today Americans (and most folks in modernized countries) are bombarded with advertisements. I’m talking about a tsunami of commercials, print ads, Brand labels, Facebook Ads, Google Ads, ads on your phone or anything a business can produce to get your attention and compel you to buy. Digital Marketing experts estimate that most Americans are exposed to around 4,000 to 10,000 advertisements each day. Like many, I thought that number sounded a little far-fetched. So I actually decided to dedicate one entire day to test it myself. I asked my wife and anyone I thought I would come in contact with to not distract me too much. I wanted to pay keen attention to the direct and indirect advertising impressions I was exposed to. On my test day, I woke up in the morning to my Sony radio-alarm clock, heard about 14 ads on my local station, KTTS before I opened my eyes and hit the snooze on my Sony clock. I used my Panasonic TV and Dish Network receiver remotes, noticed a Kenwood receiver and Toshiba DVD player, and watched/listened to 46 TV commercials as I got going. I got dressed in my Fruit of the Loom undershirt, Big Dog shirt, Wrangler Jeans and Nike shoes; 11 Brand advertisements are within eyesight in the closet. I’m not digging for them. 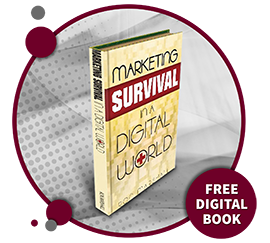 This article is one of many topics found in Ron Marshall’s book, Marketing Survival in a Digital World. It combines the knowledge of over 30 years experience in strategic marketing and advertising with proven advice to counter the negative effects the digital evolution has had on businesses. I opened my pantry and counted 214 food Brand labels, all colorful and professionally created. I get my box of Kellogg’s for my Jersey Maid milk and count 62 product Brands. I open a can of Folgers coffee to brew in my Mr. Coffee maker. I’ve gotten around 487 ad exposures and I haven’t even finished breakfast. I ended my experiment here. I was Brand-weary and knew the exposures would become even more frequent when I stepped out my front door. I concluded that they were probably telling the truth. Of course, most people won’t actually recall seeing 10,000 messages. This is because, in order to keep our sanity, we’ve developed a screening process to ignore most advertising messages. Less than 100 of them make it past our “attention wall” each day. It’s simply a matter of self-preservation. This is why you must be creative, memorable, and engaging. Finding an advertising agency or having a creative marketing strategy is a must. If you are not strategic, your efforts will be lost among the multitude of other advertising messages out there. In summary, if you’re trying to advertise your company, service or product – you’ve got a lot of competition for your buyer’s attention. This is why a planned marketing strategy and regularly monitoring results is crucial to make your marketing pay off. If you’d like free information on how you might do this for yourself, contact us here or give us a call at (417) 889-1658. Be sure to visit our website at www.redcrowmarketing.com and sign up for our newsletter Brand News for some other great marketing tips. We get exposed to so many ads a days it honestly amazing how we don’t notice most of them. But a total of 5,000 combined advertising and brand exposures (consistent with your experience). The most interesting finding seems to be that the number of advertising exposures has not changed since 1945. Always interesting. . . .
Do you know how many adverts one remembers after a day of being exposed to thousands? There are several factors that can play into display rates such as budget, target audience and relevance. We use several different applications depending on the media (AdWords, display campaigns, social media, etc.) to get the best reach and frequency possible for the budget we have to work with on a given campaign. Do you happen to know how many ads per day the average Facebook user gets exposed to?